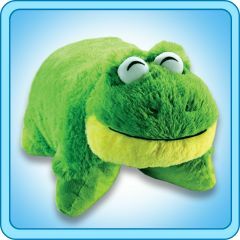 Home > PillowPets 18" > Friendly Frog 18"
My Pillow Pet Friendly Frog Toy - Size: large 18"
One very popular design of the My Pillow Pets line is the frog. 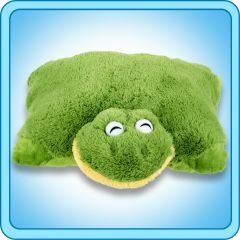 They are made from the same super soft material as the other Pillow Pets, but the bright green color and giant smile definitely wins a lot of people over when it comes to the frog. If you can't have Kermit the Frog, for many kids this My Pillow Pets Frog is going to be the next best thing. This very fun toy, or pillow depending on how you are using it at the time, is very popular with children.